Various electric vehicles are exploited in Latvia. The paper analyses experimental data for three different electric vehicles: a Fiat Fiorino Electrico, a conversed automobile Renault Clio and a Think City. The paper focuses on the following parameters of the electric vehicles: charging parameters, range per charge and cost per charge. Lower cost per 100 km distance covered – EUR 2.91for conversed Renault Clio. 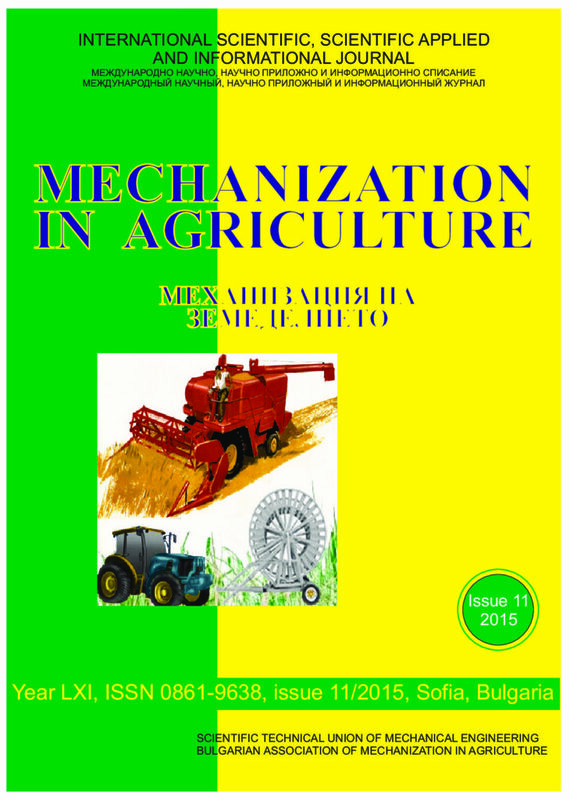 Broad automotive engineering in modern agricultural technologies results in the need to improve the operational characteristics of internal combustion engines. In this regard, the internal combustion engines are increasingly stringent requirements in terms of energy conservation and environmental safety. Improving the efficiency of operation of the engine is reduced to the complex optimization of the main variables and parameters of motors with absolute quality assessment used in these fuels. For a comprehensive optimization should be linked all the characteristics of the engine through certain values and parameters. When using fuels of different quality formulated problem is modeled as a multiobjective multi-parameter optimization. One way to solve this problem is the application of the guideline systematic approach – the principles of hierarchy. Management of automotive equipment by using on-Board devices, the functioning of which is considered at the level of subsystems of the engine. The basis for the partitioning of the engine on the levels is the structure, the relationship between the elements and features of their functioning. The interaction of the subsystems is reduced to the implementation of vehicle specified performance properties of the command signals from the electronic engine control systems. Decomposition of the hierarchical structure of the engine should be limited to three levels. During the development of the automated engine management system used in the dynamic system of the engine as the control objects, simulation, mathematical optimization techniques, special simulation setup and debug systems. In the result, we developed several technical solutions: automated system bench testing of engines and simulation of dynamic stand electronic control systems for internal combustion engines. Based on current stress situations in the repair section of a big German truck and bus company procedures for force measuring have been developed, methods for risk assessment are selected and applied and proposals for improvement of the work performance are discussed. In addition to the technical component of the force measurement with a specially designed device and the organizational component in a project with representatives of various disciplines the specific differences between service and production are to be respected. Most of the approved assessment tools like COBRA, KIM (LMM) or EAWS for physical work situations with critical body and spine loads can just be applied with restrictions. By use of a special documentation systematic the results of risk analysis of selected activities are evaluated and solutions developed according to the TOP principle with respect to economical, technical and organisational feasibility. Effort and practical acceptance of the project are mainly determined by the multidisciplinary staffed working group.